There are SO many reviews it was hard to choose. Here's a video that explains it well. 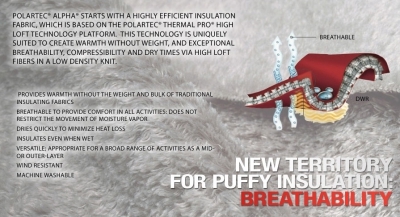 Adjusting or completely shedding layers to release excess heat and moisture vapor is not always a viable option during activities. 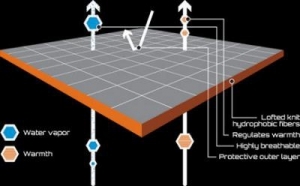 Pit-zips and vents have traditionally helped to balance airflow and warmth in micro-climates, but they leave surface areas exposed to the elements in the process. 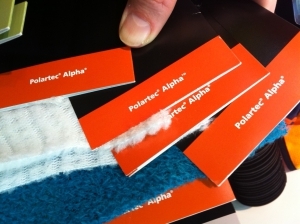 Polartec® Alpha® is the first high performance fabric to materialize the concept of active insulation. It's hydrophobic, so it won't absorb moisture even if you start to sweat. 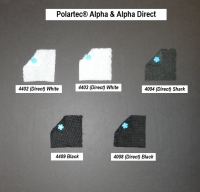 We currently offer Alpha® in a lightweight black, intended to be used as a sandwich layer, with a water repellent face fabric and a light liner. You can choose whatever fabrics you like, but we recommend one of the shell fabrics such as Neoshell, or one of the very water repellent breathables such as NIKE Hi-Vent...both of which we have on our Shell Page. 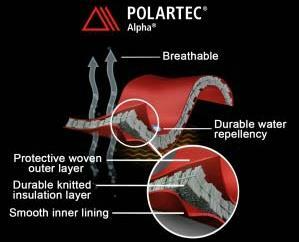 For a liner, use either a light breathable or for moisture-wicking, choose Polartec Powerdry or Power Grid. Both do an amazing job. We sell those too, of course! There is no limit to the combinations you can use. 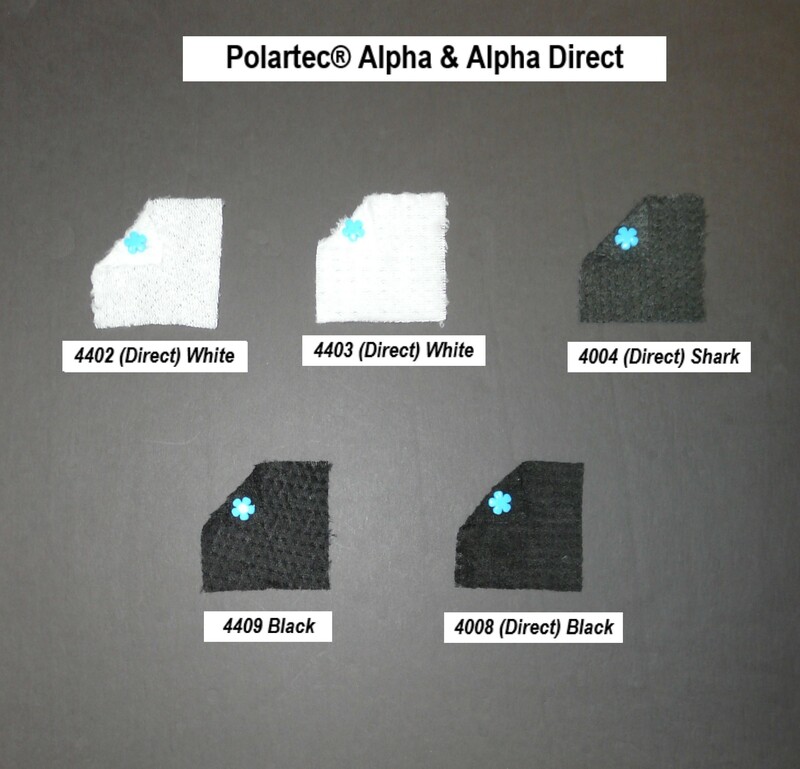 Polartec® Alpha®, Style 4409, Black, 60"
Polartec® Alpha® Direct, Style 4004, Shark, 58"
Polartec® Alpha® Direct, Style 4008, Black, 58"
Polartec® Alpha® Direct, Style 4402, White, 60"
Polartec® Alpha® Direct, Style 4403, White, 60"